Razer first released the Tartarus in 2013 where it was touted to provide gamers with immense power and control in the palm of your hands and by reinvigorating the Tartarus by blending in the Chroma lighting system, the Tartarus is now able to fit in with your other Chroma enabled devices. 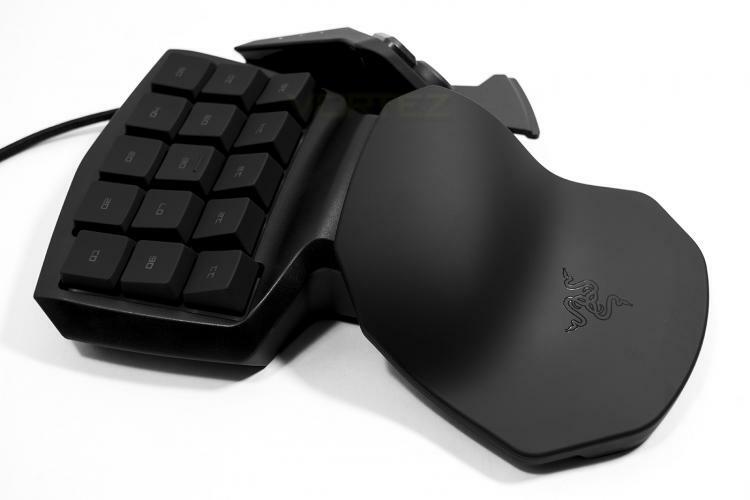 The Tartarus is an ergonomically designed keypad with 25 keys at your finger tips with a further alt key and space bar straddling an 8 way thumb pad. You can instantly switch between 8 key maps, save unlimited profiles and unlimited macro lengths to the 25 fully programmable, full anti-ghosting keys. With all this taken into account, it is easy to see how in the Tartarus can become a highly versatile tool in the right hands. Another benefit to being designed for precision, speed and comfort, the Tartarus also comes as an inherently lightweight alternative to hauling your gaming keyboard to a LAN event. Get an infinite number of commands right at your fingertips with 25 fully programmable keys. Bind all your preferred skills, macros and hotkeys for a highly personalized gaming experience. The 8-way directional thumb-pad not only lets you move with precision, it can also act as modifier keys.